We have all heard the news on TV of the blockade in Doha. I am the type of person refreshing the news pages for updates. 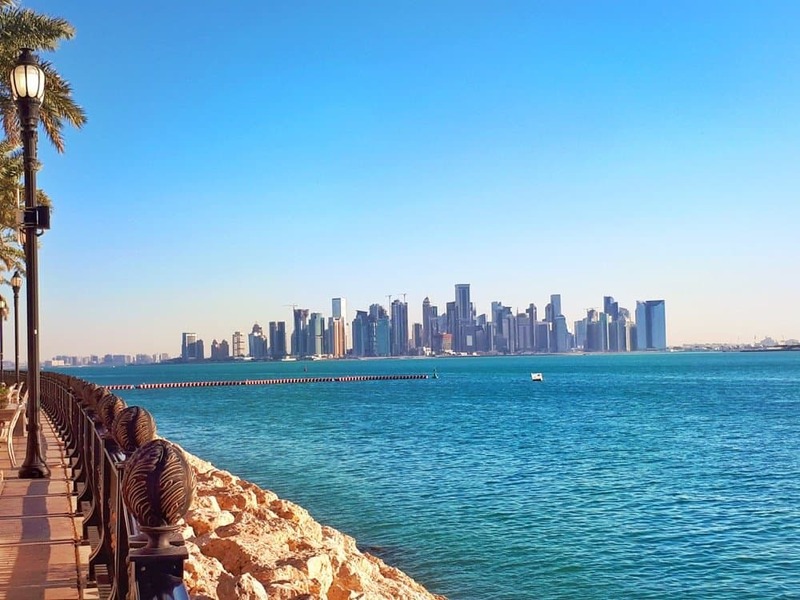 Now that it has been a week I thought I will write up a few points on what it is currently, ‘life in Doha’, from my perspective. We have been in Doha for 6 months and so far we have really enjoyed settling in. Before coming here I had mixed feelings due to reading all these other blogs and forums and just various opinions. 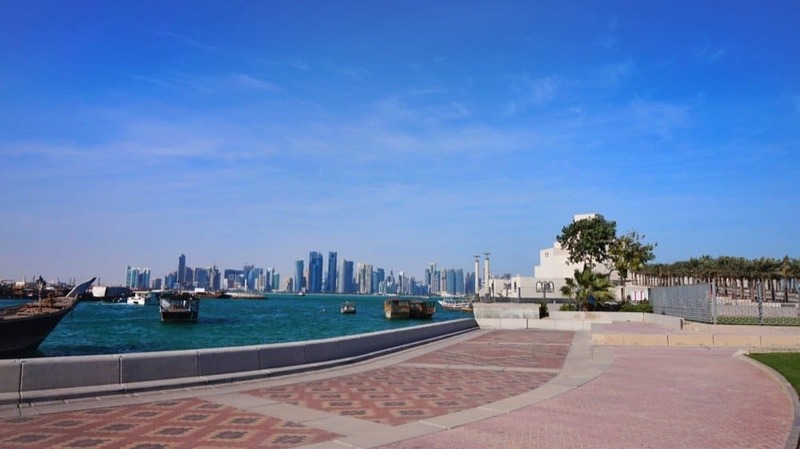 Once I stopped and starting learning about Doha from my eyes, things changed. The first day when the blockade was announced some people did panic. Coincidently we had moved apartments and we didn’t have any food so I did have to take a trip to the supermarket. This was by far the looooongest queue I have ever had to wait in Doha. Some people were panic buying while others were just doing their daily/ weekly shop. Everyone expressing their own opinions of what would happen. Now everything is back to normal in the supermarket and there is no panic buying. Even then though people continue their daily routines expressing support and hope that things will work out. We all go to work, have Iftar meals with family and go for walks, albeit they are very sweaty ones since humidity now is high. I can’t believe it is 47c outside but the humidity makes it feel much higher. In Greece, we had such temperatures but it was much easier to cope. I love the fact that people just go on about their daily lives and on the outside nothing seems to have changed. One thing I love about Doha is that it’s very safe. On the weekend I went with a friend to Souq Waqif and even at 1 am the area was buzzing with people. Women, men and kids. I totally love this spirit. I am not sure whether it is because it’s Ramadan that it was so busy or just because people enjoy the area. Another thing that picked my curiosity is that they were quite a few tourists in the souq as well. I would have thought that some people might have cancelled their flights or visits amid fears, especially in the first few days. The one major change which I know affected a lot of people was the airspace blockade. For us, we had to cancel our Umrah trip because Saudi didn’t issue visas and many people had to change their flights. Considering that it will be the Eid holidays soon and people were travelling back home for families or vacation it did create panic and lines were so busy. Many of our friends going to countries such as Egypt, UAE, Bahrain had problems finding flights as most are booked up and also they have a certain degree of uncertainty of being affected the most. Thankfully a lot of the airlines were understanding even the ones that were not immediately affected. Dubai is a major hub and many times you can find cheaper flights from there to Asia or Europe than from Doha so a lot of the expats book via Dubai. This cost more money and flights although hearing from some friends Qatar Airways has kept their prices low even lower than the average ticket to some destinations. Of course, another factor is the extra time it takes to circulate around the blocked countries which can add up to the flight time. I almost forgot this and when booking connecting flights I would have still been in the air while my next flight was taking off! I didn’t have an issue finding tickets with Qatar Airways out of Doha, though flights to popular destinations such as the UK are already booked. Overall life here is moving along, people are hopeful diplomacy can solve the issues and that life will be back to normal, which for some means Saudi dairy products too! Alhamdulillah that there’s no shortage of food. On the contrary, it may caused UAE and Saudi to put more pressure on Qatar.